After many months of full time training, Jake, a yellow Labrador retriever was placed with his new owner to alert her to the dangerous changes in her glucose levels. When Jake came to the Indianapolis Humane Society, he was excited, anxious and very rambunctious. With no signs of training at all, this dog was a long way from being an easy pet for anybody, let alone from becoming a service dog. But Jake showed qualities that immediately caught the staff's attention: he was very affectionate, very smart and very willing to work. They took him in their care and contacted Medical Mutts, an Indianapolis based service dog company, specialized in training shelter dogs as service dogs for diabetes, seizures and other medical conditions. Diabetes alert dogs (also called DADs) have gradually become more popular over the past few years. Dogs have the ability to smell the sudden drop or rise in glucose levels and signal to their person that it's time to test. A DAD doesn't replace other monitoring devices, but can provide another layer of security, a friendly and attentive presence on the lookout for any potential problems. Diabetes can be scary and requires constant monitoring in order to limit any potential complications that can affect the heart, the eyes, the kidneys and other parts of the body. When patients have become desensitized to the symptoms of hypoglycemia they may not be able to feel that they need to intervene before neurological symptoms occur, such as confusion, behavior change, stupor, and unconsciousness. Sandy, a newly retired nurse has been dealing with the challenges of type 1 diabetes all of her life. Her devoted and loving husband Jim has been helping her monitor her glucose levels over the years. But Jim can't always be around. With age also comes the growing concern that Sandy might one day be on her own. So the couple started looking into the possibility of a DAD for Sandy and after months of research online, they found Medical Mutts. 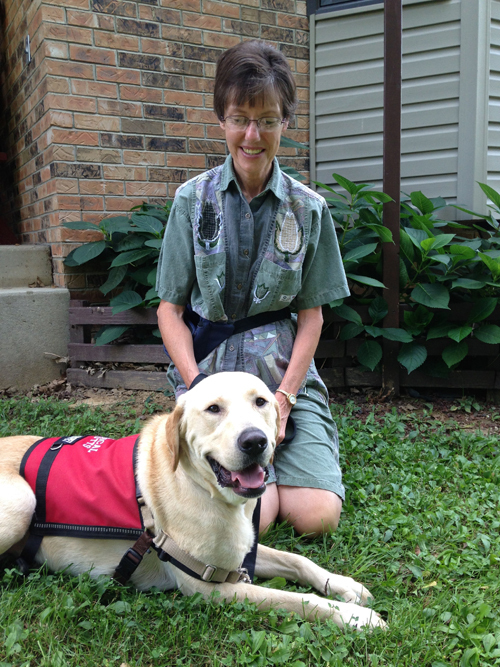 "I love him so much, he exceeds all my expectations," says Sandy about her new service dog. Jake and Sandy immediately got along. He also had to make friends with, Belle, the Great Pyrenees and the three cats that the couple already owned. But his friendly and easy-going nature quickly put everybody at ease. Over the next few months, Jake and Sandy will become more familiar with working with one another. "He should be renamed Shadow," she says, as Jake follows Sandy everywhere she goes. Whenever he smells the change in Sandy's glucose levels, he immediately pokes her vigorously with his big nose. Over time, with practice, his alerts will gradually get more and more precise. He's also learning where to get her glucose tablets or Jim in case Sandy is too weak to move. Once abandoned, this special dog has found a new lease on life: a much needed service dog for Sandy. Medical Mutts was created by Jennifer Cattet Ph.D. and her husband Jack Topham. With a Ph.D. in animal behavior and psychology, Jennifer has been working with dogs as a behaviorist and trainer for the past 30 years. As she worked with service dogs for the past 6-7 years, she also became more aware of the daily challenges faced by diabetic patients. Both Jennifer and Jack also wanted to contribute to making a difference in the public's perception of shelter dogs, so Medical Mutts only takes shelter dogs to train as service dogs. For more information on diabetes alert dogs, visit www.medicalmutts.com. Note: Medical Mutts is located in Indianapolis, IN. Because we strive to give you all the tools for a successful partnership, we have designed our program for you to access much of the information online wherever you are. We do not generally ship the dog but will ask you to come to us to pick the dog up and receive our specialized training. If that's not an option for you, don't hesitate in letting us know and we may be able to work out alternative solutions. 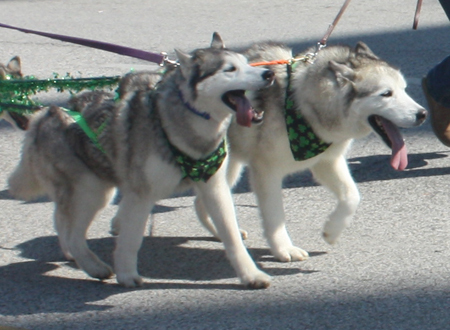 Dogs in the 2013 Cleveland St. Patrick's Day Parade. Irish Setters, Irish Wolfhounds, Pugs, Siberian Huskies and more. 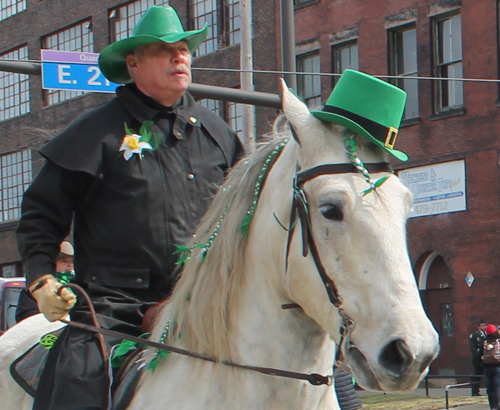 Horses in the 2013 Cleveland St. Patrick's Day Parade. 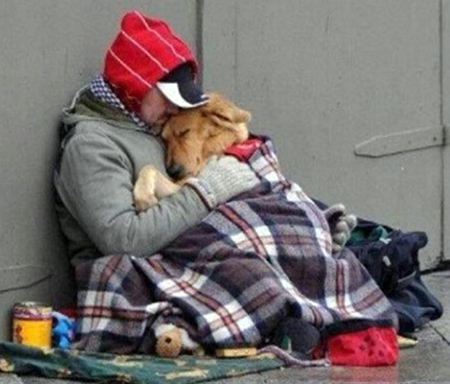 Dogs don't care if you are homeless or have problems. They are unconditionally loyal. Anyone who has ever had a pet - dog, cat, hamster, bird - whatever - knows that our pets become part of our family. Get advice from expert Veterinarians. Submit photos of Tabby or Rex for Featured Pet. Chat with Hogan, a Black Lab who has his own blog. Learn about the latest and greatest products and services to make your time with this important family member the best possible. 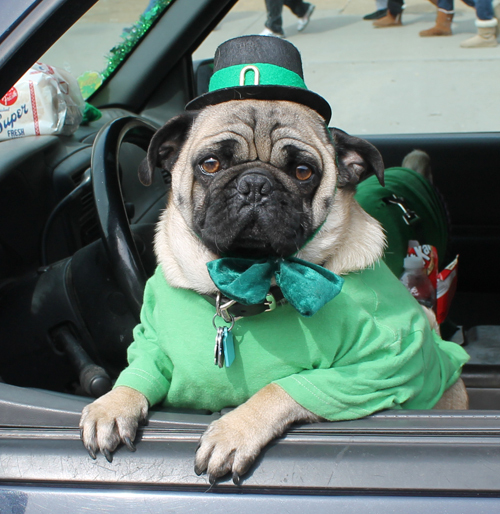 Dogs in the 2012 Cleveland St. Patrick's Day Parade. 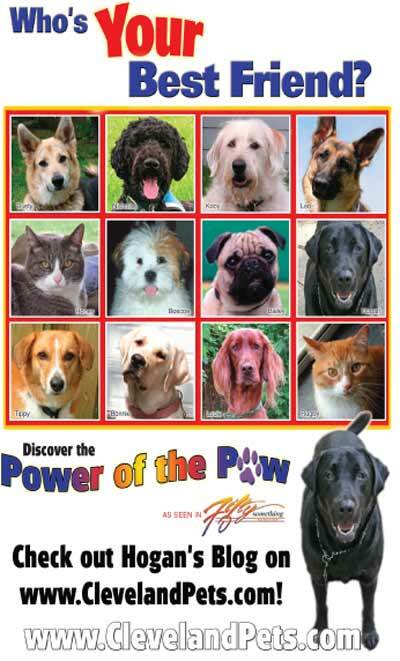 Pics and videos of Irish Setters, Irish Wolfhounds, Newfies, Pugs, Siberian Huskies and more. Is your pooch's name listed? Grapes and Raisins are deadly to dogs! Why dogs do not live as long as people. Can pets really help seniors stay healthy?